Just email your photo to anleng56@yahoo.com and place your order. If you would like to further discuss the cropping of your picture please call us at 718-271-2701 or just put in any special request you may have into our comment box after your purchase. This picture dog tag with a stone border comes in both silver and gold colors with beaded chains included! 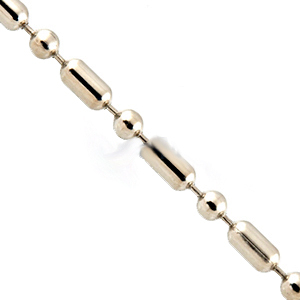 The chains are adjustable to any size and come free with all pendants. 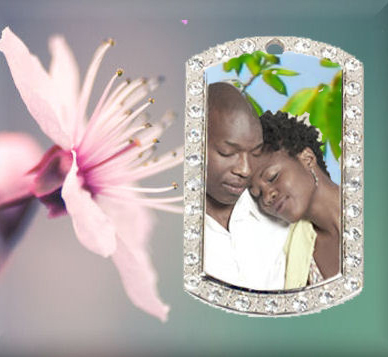 Picture pendants will keep your loved ones close to your heart. Each photo pendant comes with your picture on the front and optional engraving on the back. Each picture is deeply embedded in the pendant so you don't have to worry about the picture being scratched or peeled off. Photo pendants also includes a matching chain or keyring. For engraving please check the font chart so you may choose a text style that best fits you.